Product prices and availability are accurate as of 2019-04-21 12:52:24 EDT and are subject to change. Any price and availability information displayed on http://www.amazon.com/ at the time of purchase will apply to the purchase of this product. Richard Jacobs discovered Bitcoin in 2013, by reading an article in the New York Times, but dismissed the idea as a curiosity (like many). Fast forward to October 2016, when he started a podcast called “Future Tech Podcast” – the goal was and is to learn about ‘round-the-corner’ new technologies, such as Artificial Intelligence, 3D printing, stem cells, regenerative medicine, Bitcoin and blockchain (of course), and more. 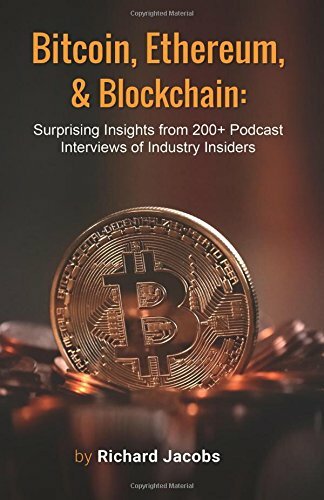 Since October 2016, Richard has interviewed 400+ different companies and consultants, 200 of which are in the Bitcoin / Ethereum / blockchain space. Richard also attends a weekly local Austin, Texas Bitcoin meetup, sponsored by Factom. He is now a crypto-enthusiast, and small-time hodler. 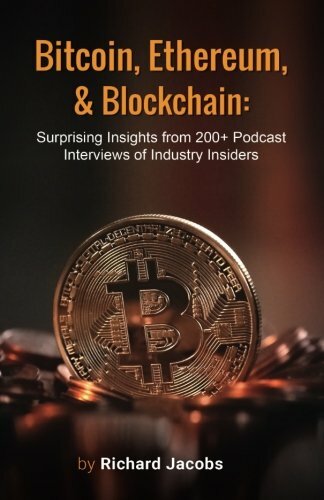 In February of 2017, Richard joined Bitcoin.com to help run their podcast: Bitcoin – the internet of money. After interviewing 200 bitcoin / blockchain companies (and counting), Richard’s fascination with the industry had grown to a point where he had to “get the information out of his head” and into the hands of other crypto enthusiasts (like you, the reader). Richard is currently planning and hosting FutureTech Expo, to be held in Dallas, Texas, September 14, 15 & 16, 2018. 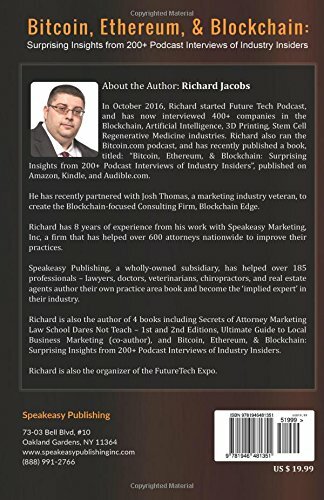 For more info, visit www.TheFutureTechExpo.com or email organizer@thefuturetechexpo.com Richard has also partnered with several marketing veterans, and successful startup founders to build a team of 48 people behind his blockchain-focused business development consultancy firm, Blockchain Edge. Visit www.BlockchainEdge.net if you are a founder, employee, or member of a blockchain company for business development advice and consulting.